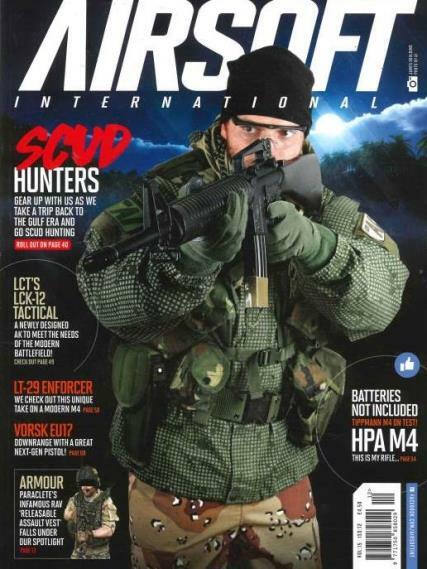 Airsoft International is a monthly magazine that carries the slogan “The Only Magazine by Airsofters for Airsofters”. Buy a single copy or subscription to Airsoft International magazine. The magazine provides readers with the latest developments and articles based on the airsoft industry and include reviews on new and upcoming equipment. Airsoft International prides itself on having a high production value and produces a great read for the airsoft enthusiast. Airsoft International Magazineoften feature guest writers who trial the products and then give feedback on their experience and how they found using them in the field. The magazine also informs you on how to care of your equipment, which will not only make your equipment last longer but also makes you aware that your machinery is in a safe condition for use, which is very important with this type of pursuit!